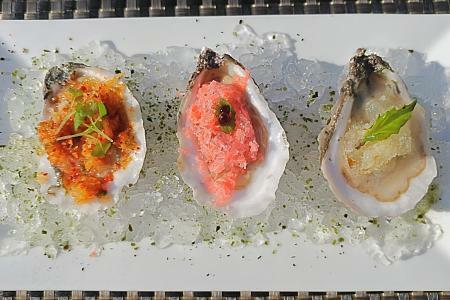 There are five species of edible oysters: the Olympia, Pacific, Kumamoto, Belon and, if you are from the East Coast probably the only one you may know, Crassostrea Virginica, or the Eastern Oyster. And while the first four have their own distinct character of size, shape, texture, taste, the Eastern oyster is more the chameleon, a subject of its environment more so than the other species. Feeding itself by filtering up to fifty gallons of water a day, the oyster gets is flavor from the water it filters, with the salt level and type of algae upon which it feeds giving the primary flavor character. 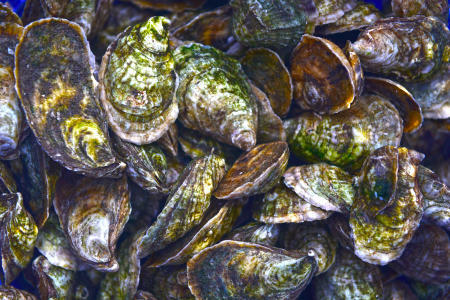 Wild vs. Farmed: As mentioned, oysters get their flavor from the waters they filter and feed, not based on if they are farmed or wild (unlike salmon). But there are a couple important differences. 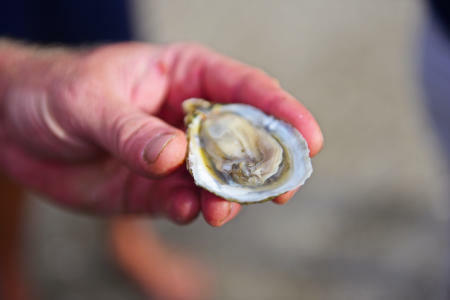 First, most farmed oysters are triploids, which unlike their wild diploid cousins, do not spawn (think breeding seedless watermelon, no GMO stuff here). An oyster can lose up to 40% of its body mass upon spawning, making for a very ‘flabby’ oyster. This means that farmed triploids will be more consistent in quality of meat. Farmed oysters get a lot more attention in their grow out, often being tumbled to strengthen their shells and making deeper cups, and being sorted for consistent size and shape. The ‘R’ Month thing. I’m sure you’ve heard it: only eat oysters in months containing the letter R. Well, that was sound advice in ancient Romans times, which is when it prevented lots of toga wearing oyster lovers from getting sick from lugging those bivalves inland from the Italian coast in Summer heat. Fast forward a couple dozen centuries, and know that oysters can now be enjoyed year round thanks to another ‘R’ word… refrigeration! 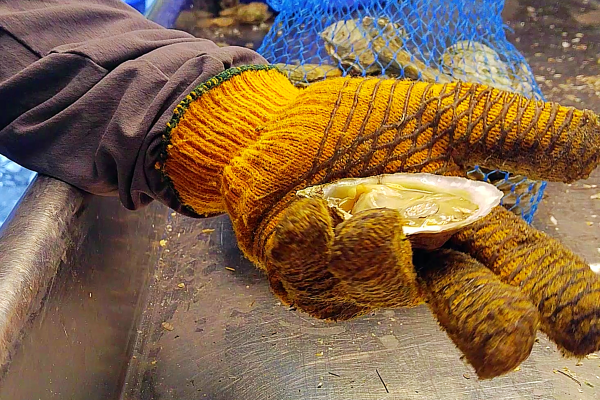 Once harvested, oysters need to be kept refrigerated to prevent any bacteria from growing (just like milk and other proteins), and they will actually live for a couple weeks out of water. The oyster industry is exploding, with new oyster bars opening not only along the coasts, but in cities across the country. And oyster aquaculture is feeding the need for oysters. 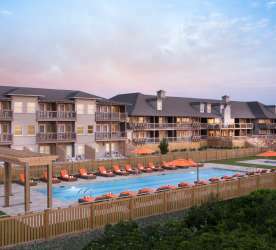 While Virginia has lead the way with research and the number of farms on both sides of the Chesapeake as well as the coast, North Carolina is emerging from its slumber. Historically, the waters of North Carolina have been a bit more protected by North Carolinians. In fact, until recently, oysters were a local delicacy only enjoyed for a few months in the Winter (wild harvest runs November-March), and rarely seen outside the area. 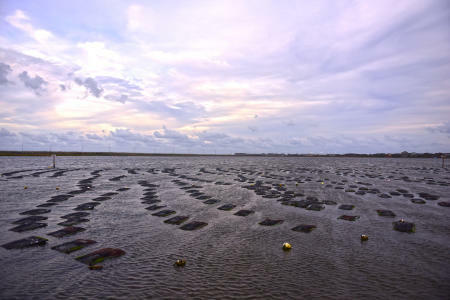 All that changed about five years ago with the arrival of our first local oyster farm, Bodie Island Oysters, part of the Wanchese Fish Company. Fast forward five years and we now have four more locally farmed specimens from Cape Hatteras Oyster Company and Ocracoke, and a dozen or more from waters further south on the Pamlico Sound. And here’s the thing, coming from someone who sees a couple dozen different varieties up and down the East Coast every week, I can tell you that the NC oysters are some of the best available right now. 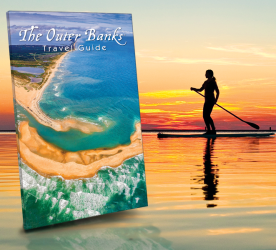 Our farmers are learning fast, putting in the time and care to produce great oysters, and the oysters are growing fast with great fertile waters here, which makes North Carolina’s Outer Banks a great destination for oyster lovers. 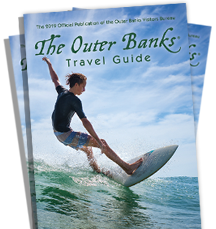 Download Dan&apos;s OBX Holiday Oyster Stuffing Recipe and don&apos;t miss this fall&apos;s Restaurant Week and Oystoberfest.